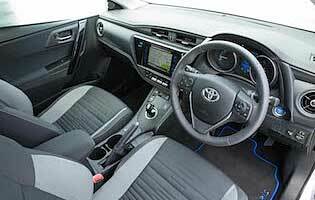 With this refreshed model, Toyota marks the mid-way point in the Auris' life span. It has been gifted a mildly tweaked exterior, a brace of improved engines and has benefited from a modest but welcome increase in both safety and comfort equipment. The firm aims to consolidate its market share and perhaps even increase it. 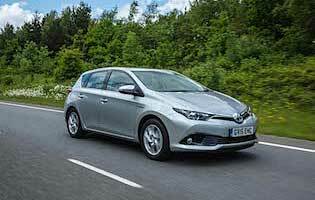 Toyota's 'edgy' generation of Auris hatch and compact estate have been designed to appeal to a broader market than its tradition core buyers. Radical by Toyota's standards, its bold appearance does much to enhance the car's chances of getting noticed in what has become a highly competitive marketplace. Although the exterior changes to the Auris are subtle, design tweaks fore and aft have helped maintain the car's bold appearance. This approach hasn't reached the cabin, which remains a largely sombre environment despite detailed improvements to material quality and the introduction of a better infotainment system. Changes under the skin are key, with most attention focused on the engines. Downsizing is the theme, in line with EU law, with the introduction of a new 1.2-litre petrol unit plus new and improved diesel options, alongside a tweaked hybrid variant. Importantly, all engines are now EU6-compliant, while there have also been some economy and emissions gains. Staying competitive has also resulted in small but welcome changes to the car's ride quality and steering feel, while additional safety kit runs to lane departure warning and traffic sign recognition plus an auto brake function capable of slowing or stopping the car if another vehicle in front is detected. 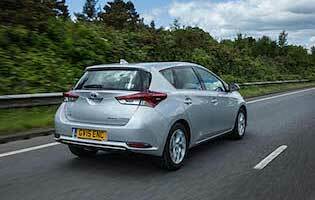 This generation of Auris has aged well, and the various new visual changes will help keep the car fresh. The engine changes are also welcome and much needed, while the boost to the car's kit list contains other timely improvements. Whether it's enough is questionable. 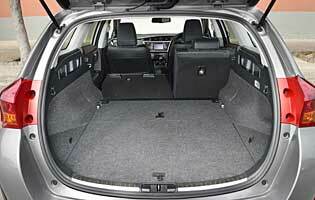 Although an easy car to drive and a cheap one to own, the competition surrounding it is compelling.